I need clarity in my life. WAAAAAAAAY to many bikes. Can't even remember where some of them are now. Anyway I want to sell off a bunch of bikes. 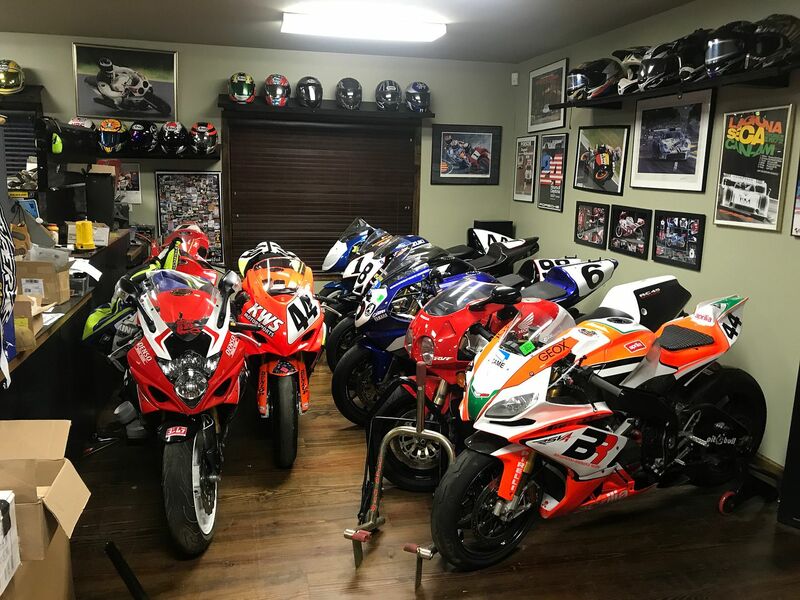 Race bikes, street bikes, mx bikes, woods bikes, rzr's quads, jet skis etc. If you are looking for something I probably have it in stock. Not looking to crush it with huge sales numbers. If you have been to my website www.superbikeuniverse.com then you know the numbers are on the strong side. When I listed everything I just figured I end up keeping everything unless someone had to have a special bike and pay generously for it. Now I just want to be rid of the responsibility of caring for all these little gems. If you see something you want email or call me and I'll make the deal work for you. At least 50 bikes are going to be sold. I need room. Can't even go into the shop now because there is just way to much clutter. Its real bad when you have to climb over ten bike to reach the bathroom! So if you fancy something let me know. the website only has about 75 bikes listed. I HAVE A SHITLOAD MORE IN VARIOUS STATES OF CONFUSION. irwnn, 2wheeldev, mikedabike and 5 others like this. Beresh21 and cajun636 like this. Wow...I've looked at that website before not knowing that a mere mortal owned the contents of it...you sir are officially my idol!! $40K for that Tesi is an absolute steal. Tremendous collection! What about a 93 gsxr750 or 1100? 5axis and motion like this. Why am I afraid to ask about FZR400s, fearing the answer will be a list of bikes with prices I shouldn't say no to? Is that your house that the 930 is parked in front of? Wow...you dudes stepped up. Today the YZF750SP, NS500V, 3 GSXR1100's and a CBR600F are all going to happy new owners. r6racer19, Shenanigans, Wheel Bearing and 3 others like this. by the way...I have a absolutely perfect 2200 mile 1988 FZR400 RED/WHITE. Calling your name. Probably one of the lowest milage FZR400'S left out there. evakat and Phl218 like this. KTM 300 EC-W 6 days sold!